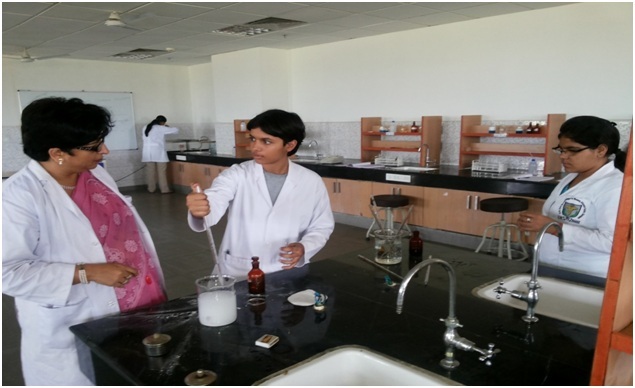 Committed-Biochemistry section in Central Lab situated on the 6th floor of the Hospital Complex which is well equipped with state of the art equipment and trained laboratory personnel managing it. 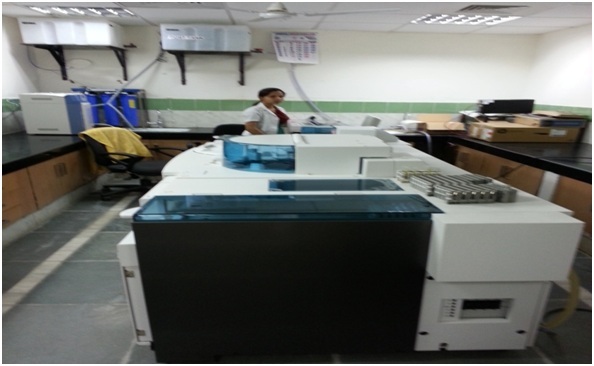 All the investigations are done on Modular P-800 fully Automatic Biochemistry Analyser (Roche Diagnostics.). 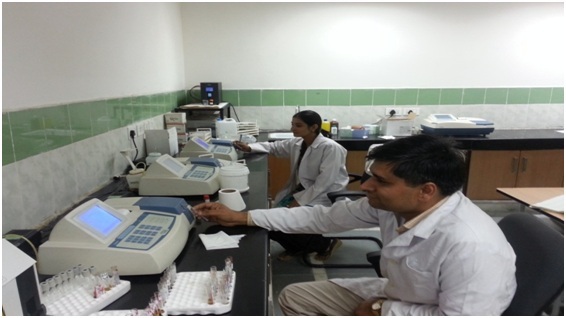 As a back-up measure there are 3 Chem-7 (Semi-Automatic Biochemistry Analysers by Transasia Biomedicals Ltd.) For hormone assay there is an ELISA reader with Washer By Transasia Biomedicals Ltd.
24- hour emergency lab in the hospital providing all emergency investigations including blood gas analysis, serum electrolytes ( Na+, K+ , Ca++, Mg++ ) S.Amylase, CPK-MB etc. 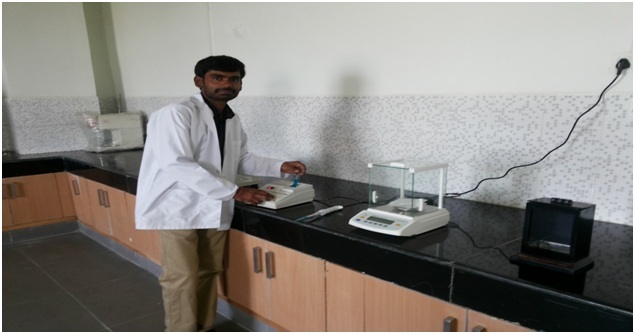 Research Lab with facility of fume hood, chromatographic instrument, centrifuge, Electrophoresis, Tissue homogenizer etc. Departmental Library containing 136 Books for quick reference. 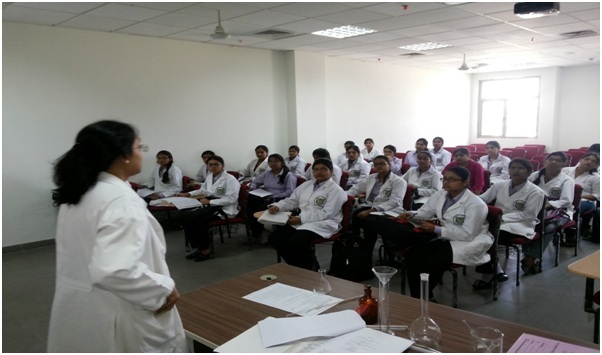 Demonstration and seminar hall with LCD projector with automatic display screen. 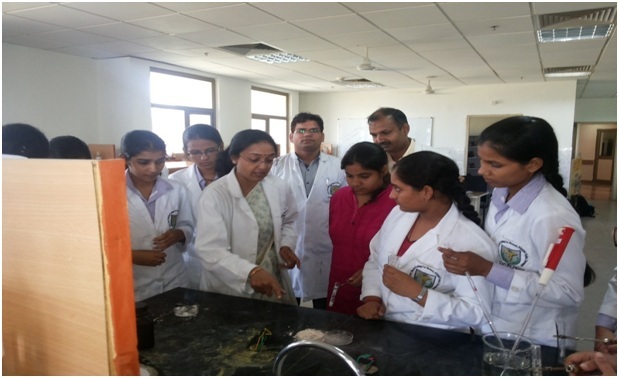 Well equipped undergraduate laboratory where 1st MBBS students are doing practicals. 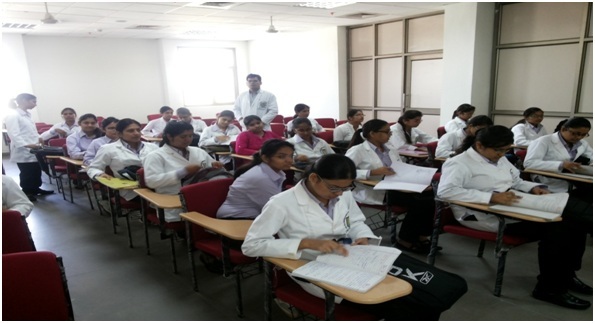 Seminars being conducted regularly in the Department.